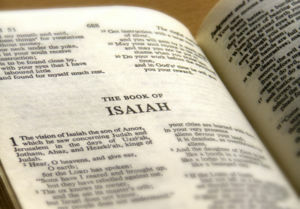 But just as Jesus has appeared to many to be no more than an ordinary human being, and just as Christianity has appeared to many to be no more than a merely human institution of religion, so the Bible too has appeared to many to be no more than a traditional collection of ordinary human literature. However, even the tools of ordinary literary criticism have clearly shown the Bible to be more than a collection of merely human literature, and its scriptures to be much more than ordinary human writings. This page was last modified on 13 April 2019, at 15:01. This page has been accessed 391,127 times.